When requested, an adoptable animal can be placed on hold for 24hrs at a cost of $5.00 per animal. This fee can not be applied to the adoption cost of the animal, and must be done in person along with submitting a completed adoption application. Health Care Package includes, spay/neuter, at least one round of preventative vaccinations, worming, Felv/FIV or Heartworm test, Frontline for fleas, and an adoption starter kit. Microchipping also included. Our Veterinarian Technician implants microchips by appointment, only after the animal adoption fee is paid. If you are with a breed rescue organization, you must be an approved rescue with our breed rescue coordinator. She can be reached at campbell.stephanie@gmail.com. If you have animals at home, bring all current up to date vaccine records for all of your animals. Photo ID and/or proof of current residence. *County or State of residency does NOT affect your ability to adopt from us. Click here to browse our adoptable pets! See the additional information on How to Adopt A Puppy Mill Dog on our home page! 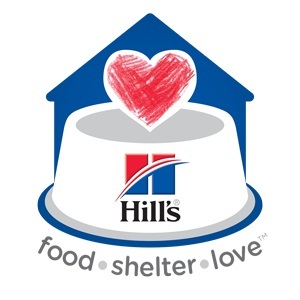 We are a member of the Hills Science Diet Shelter Nutrition Partnership. Thanks Hills! We feed and recommend Science Diet!